Recent years have been marked by multiple crises—of an economic, social, political and environmental nature. It is quite clear that the neoliberal model, based on fossil energy and consumerism, has reached its limits. 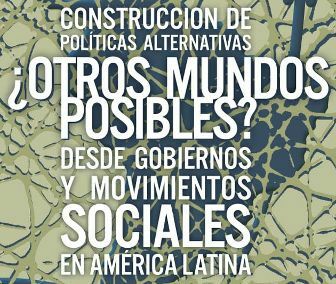 Against this background it is more than reasonable to consider social and economic alternatives. 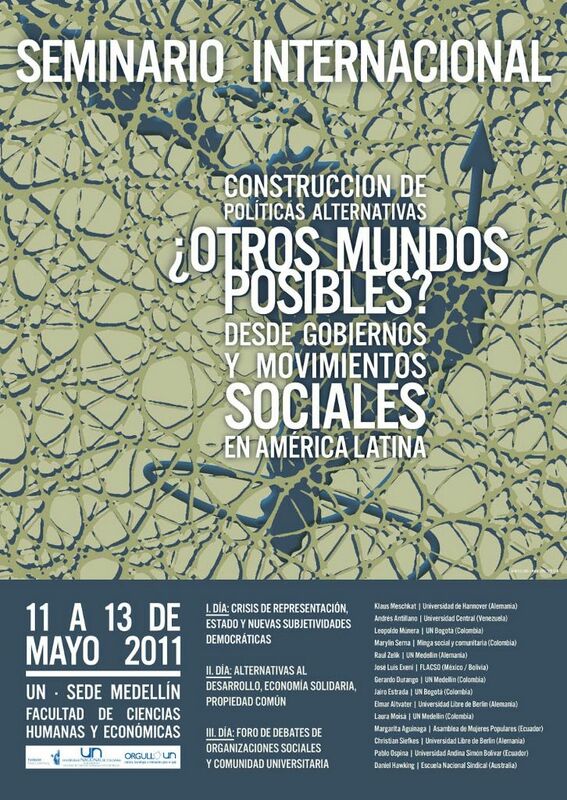 The conference is organized by the German author Raul Zelik, who since last year teaches as professor for political science in Medellín. I will talk on the second day on “Peer production and commonism: From the free software movement to the ‘free association of producers’.” Most of the other invited speakers will be from Latin America; Elmar Altvater and Klaus Meschkat [de] from Germany will attend as well. I look very much forward to this conference that should bring together critiques of capitalism and experiences of non-capitalist organization from (at least) two continents. More Information in Spanish is available at the conference website. Christian, grüß‘ den großartigen Klaus Meschkat und erzähl ihm von den Commons! Tja, und Raul Zelik, der jetzt vom Communismus erzählt… ich würde demnächst gern mal mit ihm eine Diskussionsrunde starten. Viel Erfolg in Medellín, bin gespannt auf Deinen Beitrag.